House plants sometimes have problems despite your best love and care. Here you'll discover how to identify and tackle those house plant pests and house plant diseases like spider mites, fungus, aphids and other things that are bugging your plants. You'll get tips for insects control with sure-fire solutions. Most bugs and diseases arrive with new plants. You can prevent a lot of problems by simply inspecting a plant thoroughly before bringing it home. 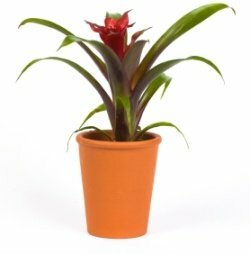 Treat your plant as soon as you notice any fungus or pest infestation. Insects reproduce quickly and will invade other plants, carrying any disease from plant to plant. Leaves with brown spots, holes, or nibbled edges: these are sure signs of pest infestation or disease. Insects anywhere on the plant. If you bring these unwanted bugs into your home, they will likely attack your other plants, too. Powdery mildew on the leaves: this white, dusty fungus is not a good start for a young plant. Don't buy it. Gray fuzzy mold anywhere on the plant: this fungus may spread and attract insects. It's also a good idea to keep new plants away from the others for a month to avoid a pest invasion on your other plants. Keeping your plant healthy is its best defense for fighting off house plant diseases. A plant that's under stress from underwatering, overwatering, too much or too little sun -- whatever the reason -- is more vulnerable to diseases than a healthy plant. Fortunately, many problems are treatable if caught early. But remember, prevention is always better than the cure. Poor air circulation and high humidity are favorable conditions for powdery mildew. Watch for this dusty, white fungus on tops of leaves and on flowers. African violets and begonias are especially susceptible because of their thick, soft leaves and their need for high humidity. 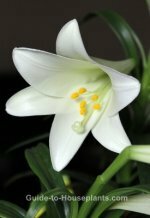 Promptly remove any dead flowers and leaf stems from your plant. Under moist conditions, fungus thrives on dead plant tissue and becomes a breeding ground for diseases and attracts insects. Whiteflies look like tiny, white moths and fly around when the plant is shaken. Whiteflies and their larvae tend to lurk on the undersides of leaves. Mealybugs are small, white, and fuzzy. They feed on or around the leaf axils or under the leaves. Their eggs are incubated in white, cottony areas. Some species feed on roots. Aphids typically attack new growth of plants -- young leaves, buds and flowers. Spider mites are tiny specks on webbing on the undersides of leaves and between stems and leaves. Scale are flat, brown, hard-shelled insects that cling to the stems on the underside of leaves. Thrips are tiny, thin and dark. The adults have fuzzy wings, but they tend to hop instead of fly. Fungus gnats look like tiny, black flies with transparent wings. They can barely fly, hovering over or crawling on the soil. Their eggs and larvae stay in the soil. Clean your house plants. Keeping plants dust-free not only helps them stay healthy and attractive, it also helps to rid them of insects. Before resorting to harsh chemicals to control pests, try to remove insects by wiping them off with a damp cloth or with soapy water. If that doesn't work, neem oil insecticide is an organic solution for eliminating many common house plant pests. It even controls some types of fungus on plants.